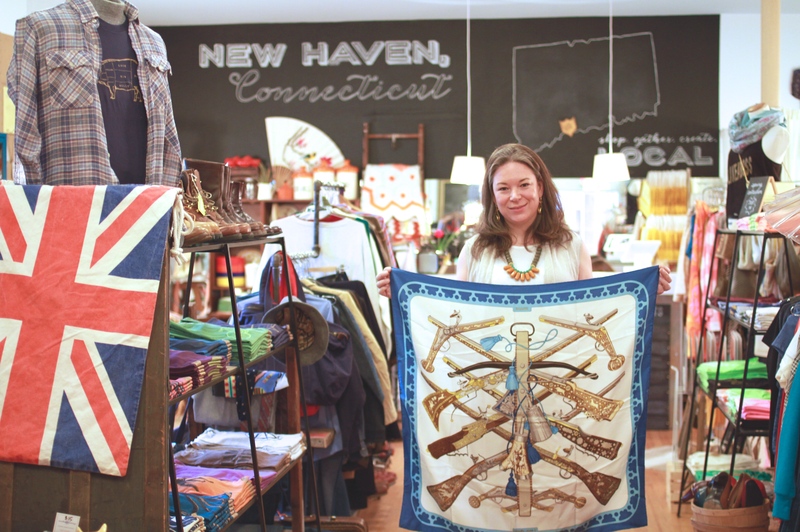 Tucked away in a corner of State St in New Haven is a shop with sun-drenching windows, and tons of vintage and locally made eye-candy. Melissa Gonzales started The Haven Collective to encourage a community feel, support local, and revive the vintage clothing scene. Handpicking every item that exists in her store, she has built the perfect little nook complete with a “Sunday Brunch Series”, where attendees can create or learn a new skill. A big supporter of the New Haven community, we decided to create a series of videos for her brand to showcase what the NH area has to offer. We’ve had so much fun so far! Can’t wait to see our favorite local small businesses featured: Marjolaine, The Coffee Pedaler, Fleur de Lys, and Da Legna make East Rock the place to be! Thanks for giving our Sunday Brunch Craft Series a shout out too! You are currently reading The Haven Collective at Mojalvo Videography.